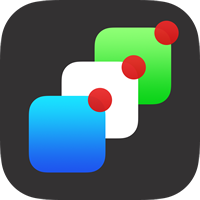 You can quickly add or remove any items from showing up in Notification Center in iOS on your iPhone, iPad, or iPod touch by modifying your allowed apps through the central system settings. This isn’t the same method as disabling an item like the stock ticker, but it’s faster if you want to adjust several apps at once, and quickly determine what apps can appear in the Notification Center screen on the iPad or iPhone, and also what apps don’t show up there. 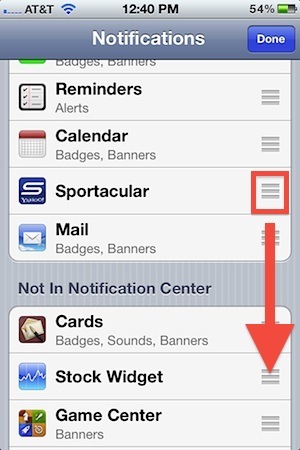 The list of items at the top are apps that are set to be visible in Notification Center, while the list of items at the bottom are apps that are not visible in Notification Center. If you can’t drag the apps between each list then you are not in the “Edit” mode, so do that first. Using the same settings panel, it’s also possible to adjust precisely where an app is displayed within Notification Center, rather than relying on the two default sorting options. Do that just by dragging them around according to where you want each apps respective placement within the list of notifications. Changes made here are visible immediately by pulling down Notification Center with the familiar swipe down gesture from the iOS clock area. Is or possible to disable Notification Center completely? I’m constantly opening the thing by accident and just want it to go away.